It’s only a short hike to Old Man’s Cave from the Visitor’s Center. It’s easy to get wrapped up in the daily startup grind, but sometimes you need to just get away and relax, recharge your batteries and brainstorm your next big idea. 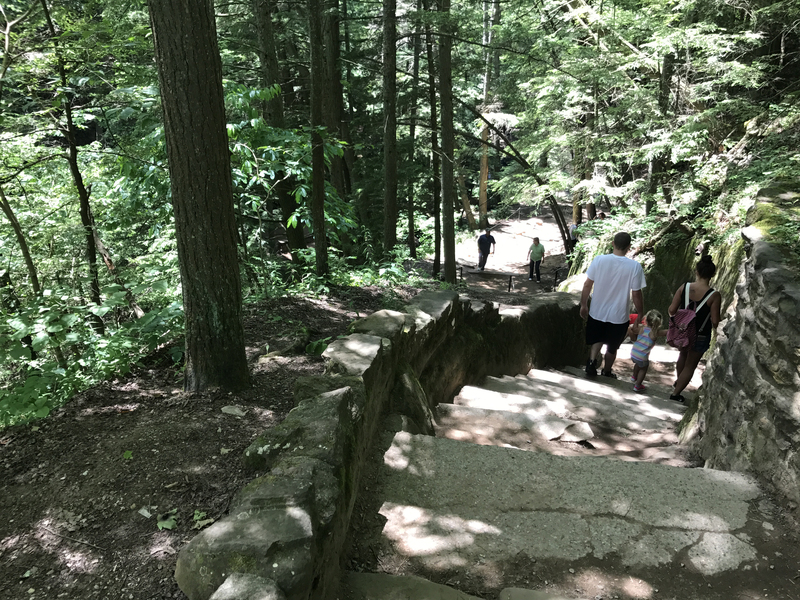 Away from the hustle and bustle of Ohio’s metropolitan cities, you’ll find Hocking Hills State Park and the peace and quiet of nature. Hocking Hills encompasses more than 11,000 acres of state parks and forests in southeast Ohio. 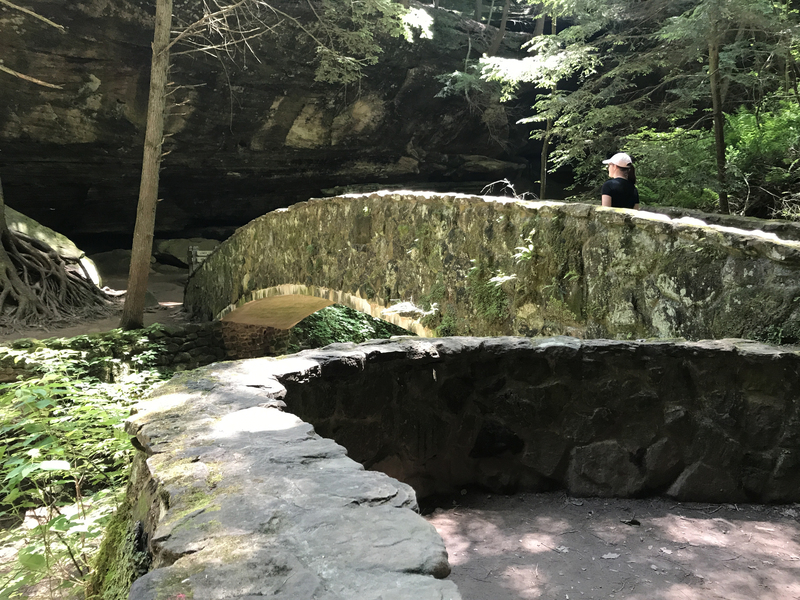 Visitors can explore countless caves crafted by nature, such as famed Old Man’s Cave, relax by lush waterfalls like Cedar Falls, and hike trails to sprawling gorges such as Conkle’s Hollow. 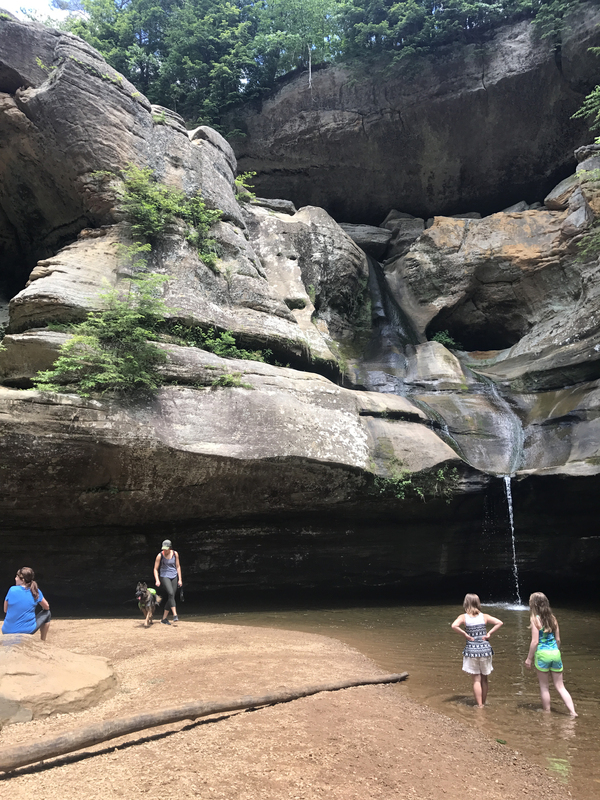 While Hocking Hills is a place to unwind and enjoy nature, you won’t soon run out of things to do. Whether you’re searching for an adrenaline rush, a relaxing voyage down the river or a taste of the local art and culture, Hocking Hills won’t disappoint! 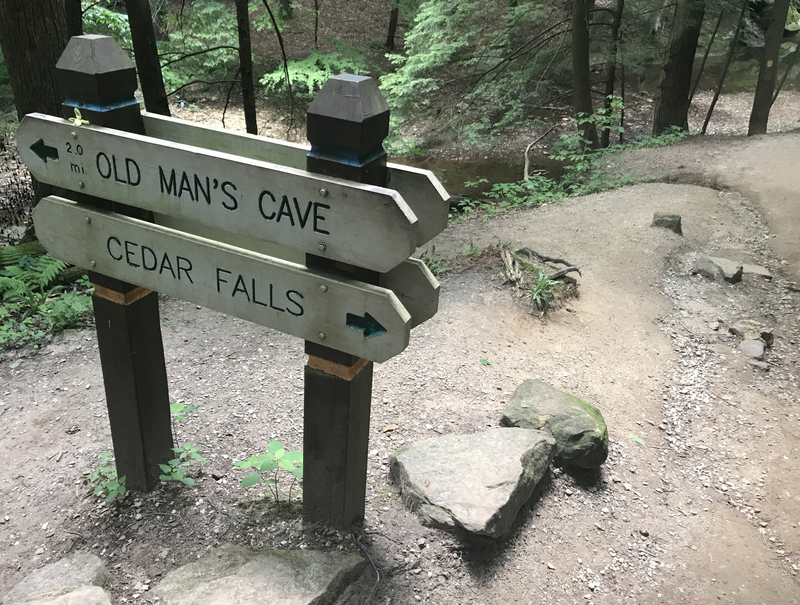 After exploring the wonders of Old Man’s Cave, adventurous visitors can take a 2-mile hike to Cedar Falls. 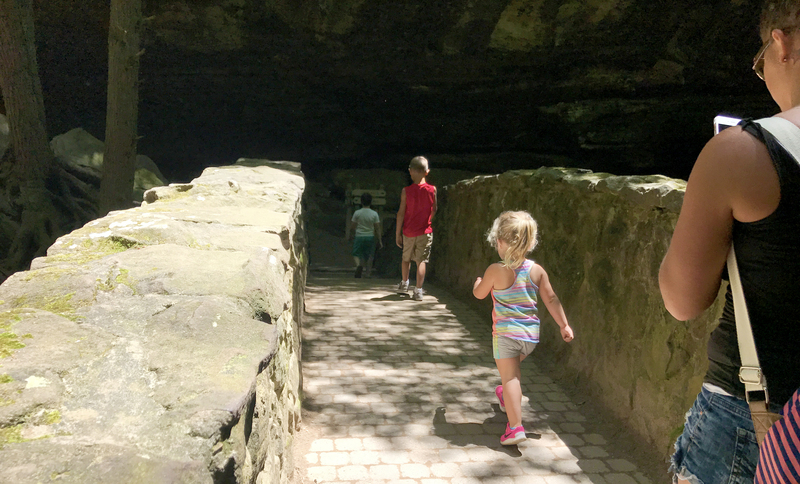 Old Man’s Cave is a great place to enjoy nature with the whole family. Guests stop by the Visitor’s Center at Old Man’s Cave to prepare for the hike. A visitor crosses the stone bridge at Old Man’s Cave. You could hike for days in Hocking Hills and never see the same tree twice. Hundreds of miles of trails wind through state forests, nature preserves and area parks and they are suitable for hikers of any skill level. If you’d rather stay off your two feet, try traveling on four. Visit one of the area’s stables to experience nature’s trails on horseback. While you’re out there, keep an eye out for the white-tailed deer, barred owls, red-backed salamanders, towering sandstone rock formations, and rare and stunning flora such as Lady’s Slipper Orchids and Devil’s Walkingstick. They’re unique, and they all call this area home. Old Man’s Cave offers a peaceful reprieve from metropolitan life. 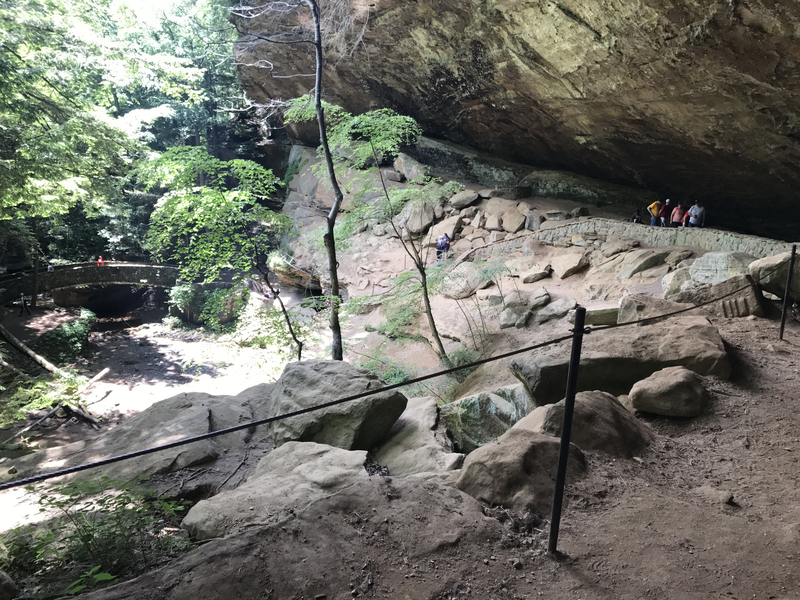 Old Man’s Cave is named after Richard Rowe, a recluse who moved to the Ohio River Valley in 1796. Visitors enjoy the refreshing waters at Cedar Falls after a long hike. 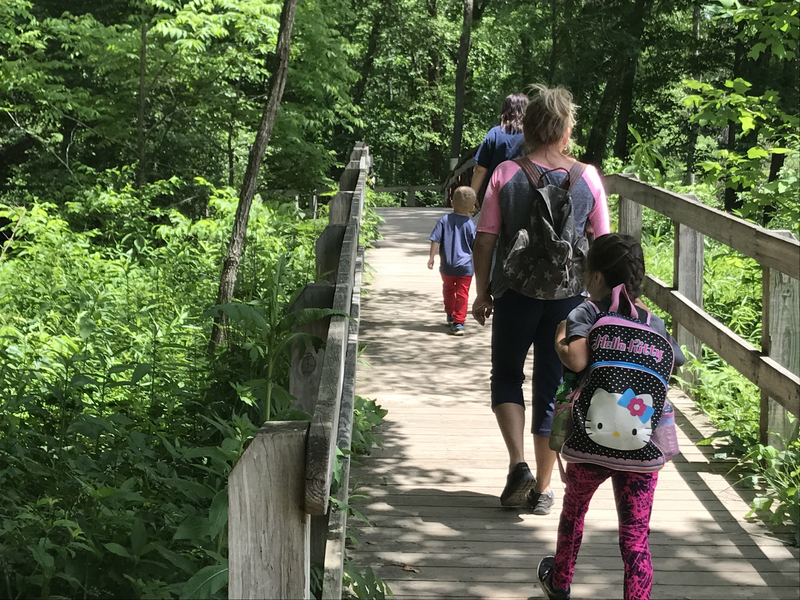 A family goes on a hike at Conkle’s Hollow. If your idea of fun involves pitching a tent, cooking meals over a campfire and sleeping under the stars, then Hocking Hills is for you. But you certainly don’t need to be willing to rough it in the woods—there are other lodging options that allow you to enjoy nature with some of the comforts of home. 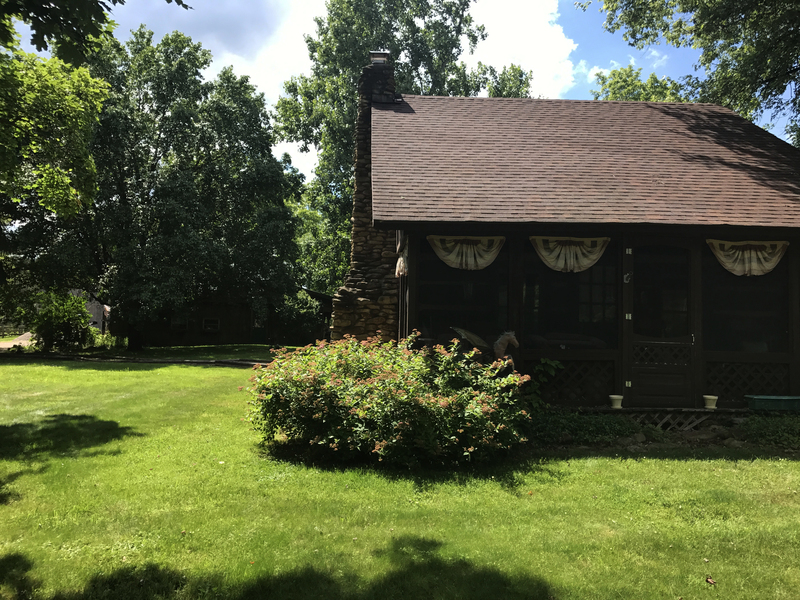 There are several styles of cabins to rent in Hocking Hills, from just the essentials to cabins with DirecTV, Wi-Fi and outdoor saunas. If you’re looking for even more luxury, why not stay in a bonafide castle? Ravenwood Castle offers lavish rooms fit for a king or queen, and is surrounded by the medieval village of Huntsman’s Hollow. Dine like royalty, imbibe at the medieval pub or enjoy the interactive murder mystery show in Hunstman’s Hollow. 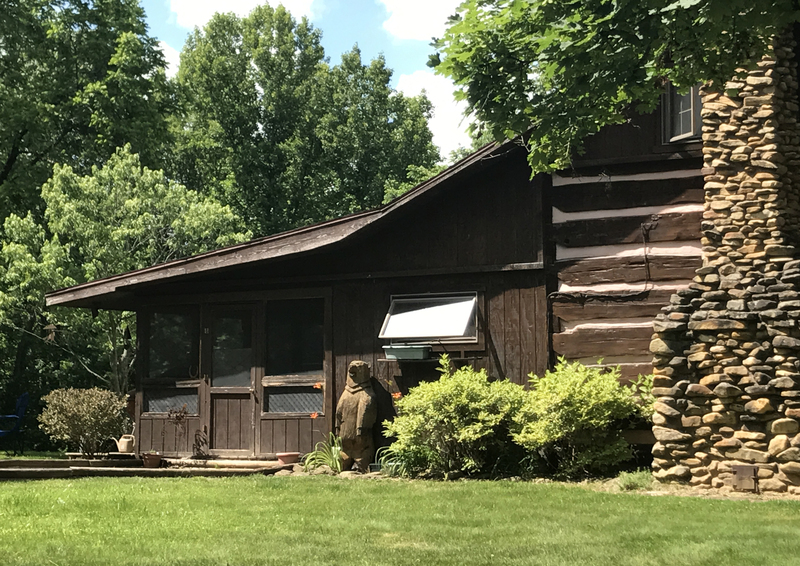 Many Hocking Hills visitors choose to rent a cozy cabin during their stay. Tuck yourself away from the hustle and bustle of everyday life by renting a cabin in Hocking Hills. 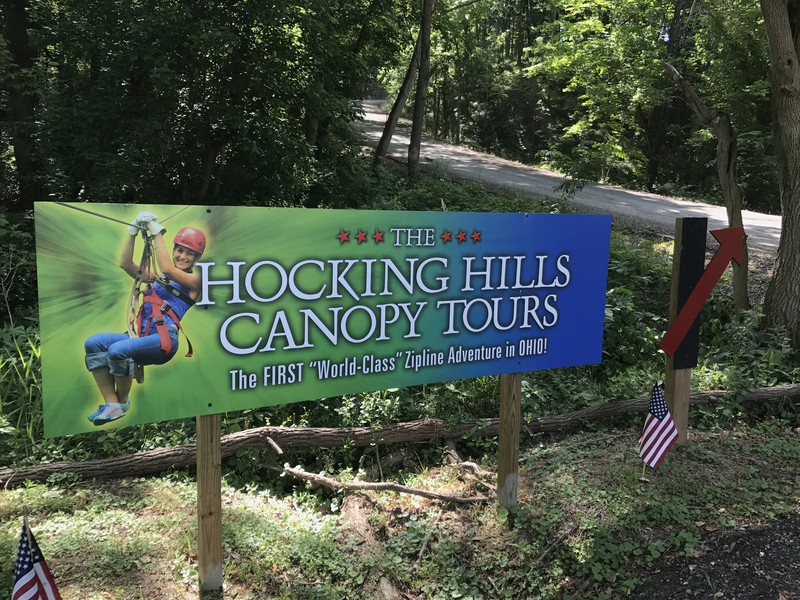 Go on a zipline adventure at Hocking Hills Canopy Tours to experience the state park at a new level. Thrill-seekers will find plenty of activities to get their adrenaline pumping. Hocking Hills State Forest is home to endless steep cliffs and rolling hills, with 99 acres set aside just for rock climbing and rappelling. For an especially scenic drop, you can rappel 115 feet down Big Spring Hollow Falls, the tallest waterfall in Hocking Forest. If you like heights, check out the view from above with a Hocking Hills Canopy Tour. The canopy tour will take you across bridges and ropes about 70 feet above the ground and then rush you back to earth on a zipline traveling 50 miles per hour. If you’re in the mood for even more power, start your engines with ATV rentals from R Adventure Park or Wayne National Forest to traverse the terrain. 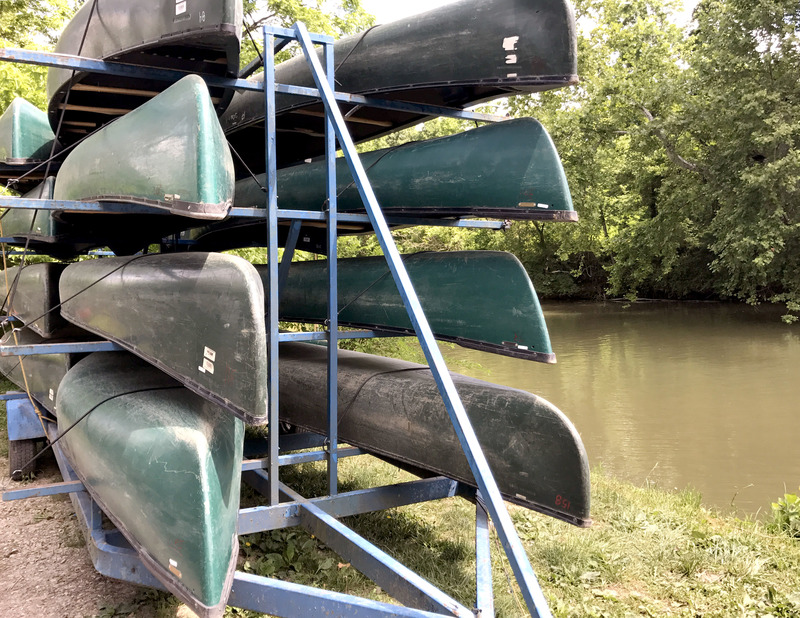 Canoes are available to rent for visitors interested in exploring the Hocking River. Canoers float peacefully along the Hocking River. The Wyandot tribe inhabited the banks of the Hocking River until the 1700s. The name, ‘Hocking,’ is derived from the Wyandot word, ‘Hokhokken,’ which roughly translates to ‘bottle-shape.’ The name was inspired by the bottle-like shape of the gorge at the river’s north end, a shape that was formed naturally by waterfalls. Today, visitors can float down the river via canoes, kayaks or rafts supplied by the liveries along the Hocking River. Winding through the forest, it might seem as if no time has passed since Native Americans were settled there (except for the occasional zipliner whizzing by overhead). 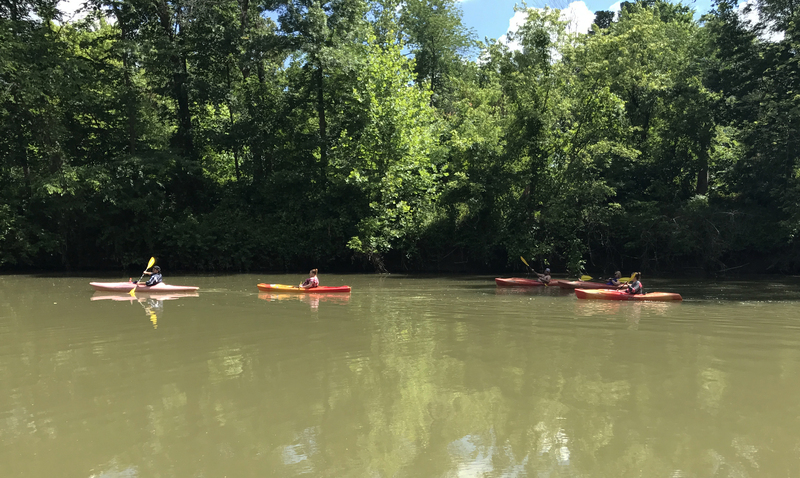 Hocking Hills Adventures offers trips as long as 15 miles so visitors can enjoy the river all day long. 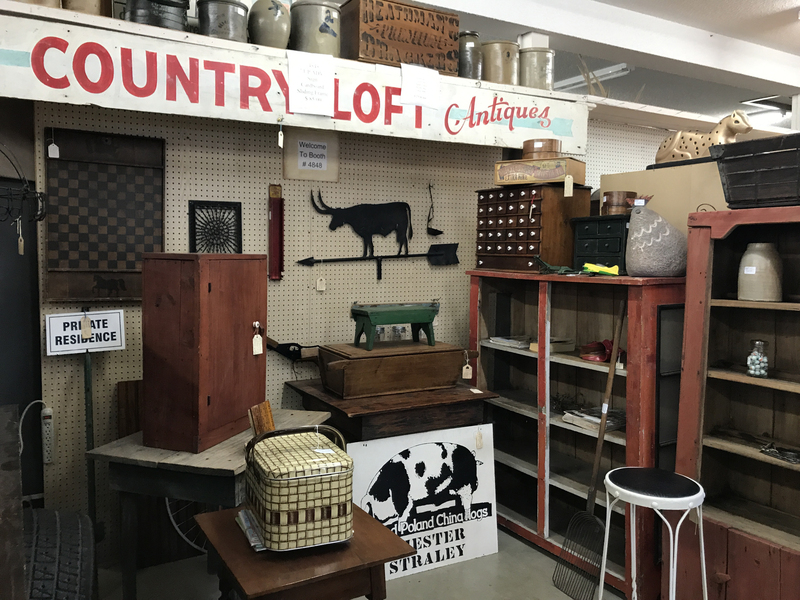 Visit a local antique shop at Hocking Hills for vintage finds. 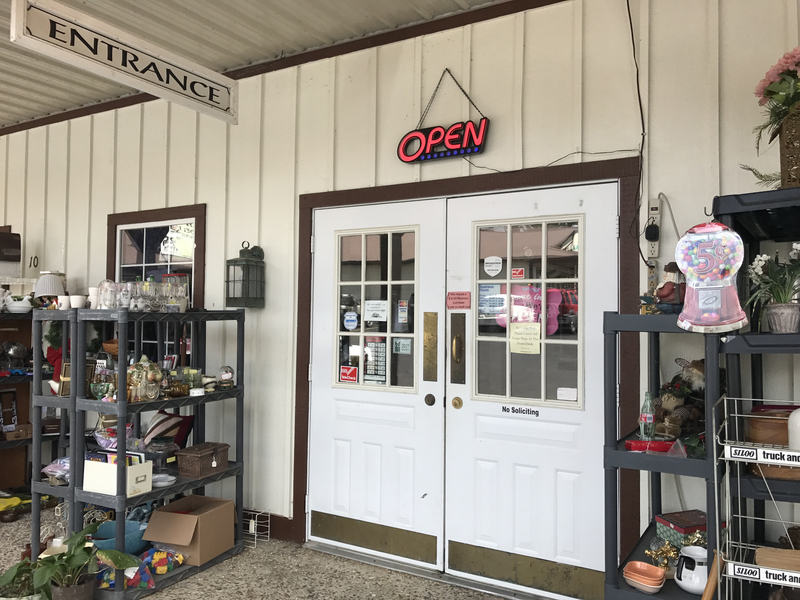 Explore the culture of Hocking Hills by visiting the Logan Antique Mall. Wind down with a local beer at Brewery 33. 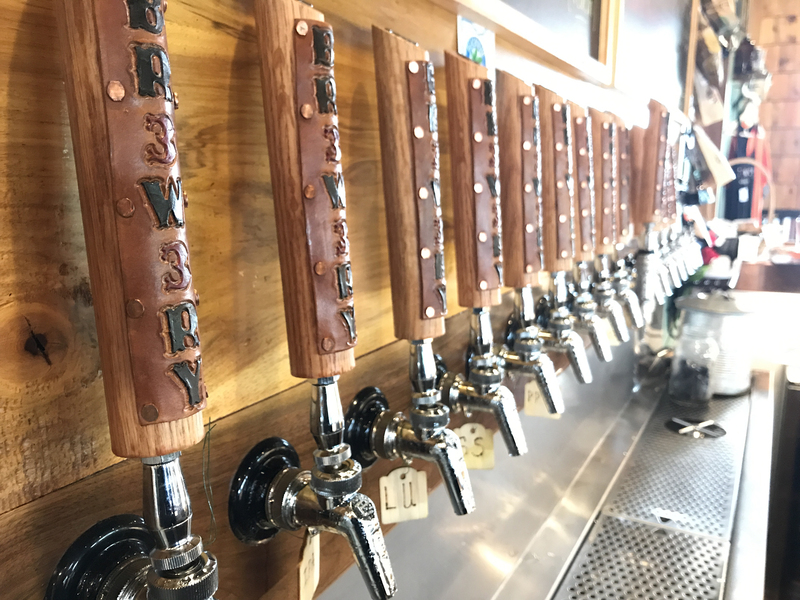 Brewery 33 offers a variety of handcrafted beers. 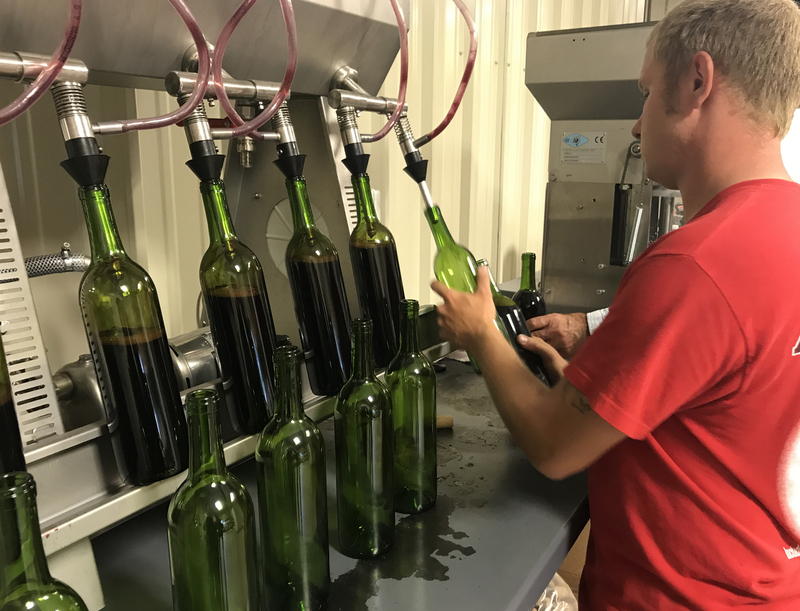 Wine being bottled at Hocking Hills Winery. Today, those who call Hocking Hills home welcome guests with unique shopping, festivals and food. The Historic Square Art District features galleries and shops selling everything from antiques to homemade soaps. If you visit in August, be sure to stick around for the Ohio State Fiddling Contest. 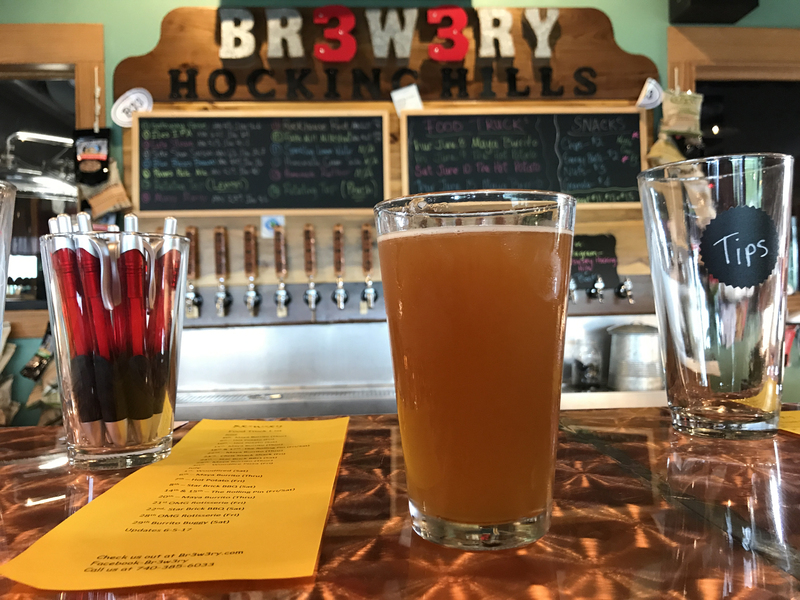 After shopping, sample local beer, wine and spirits at places like Brewery33 Hocking Hills, Hocking Hills Winery and Straitsville Special Moonshine Distillery. You can also catch the many festivals held throughout the year including the Washboard Music Festival, The Parade of the Hills and Feast of the Flowering Moon. 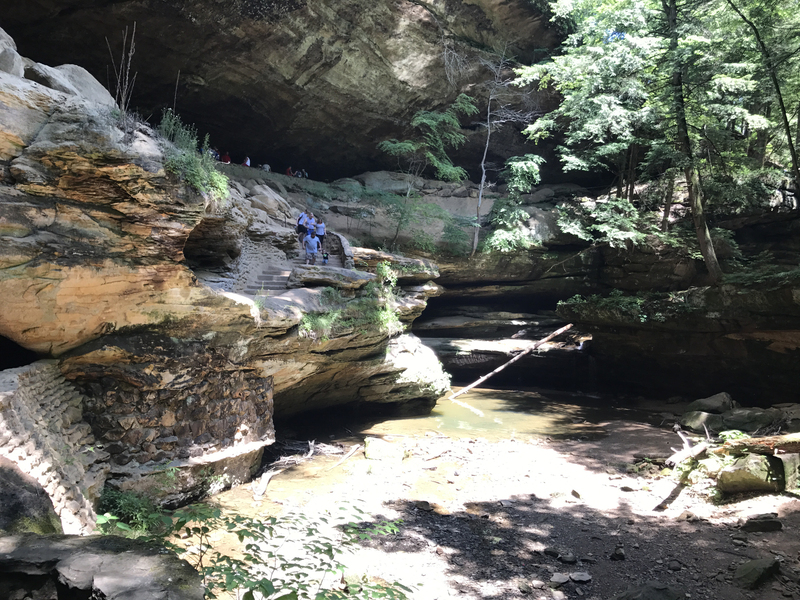 With all Hocking Hills has to offer, it’s no wonder that CNN, the New York Post and many more have named the area one of the best natural wonders in the U.S. 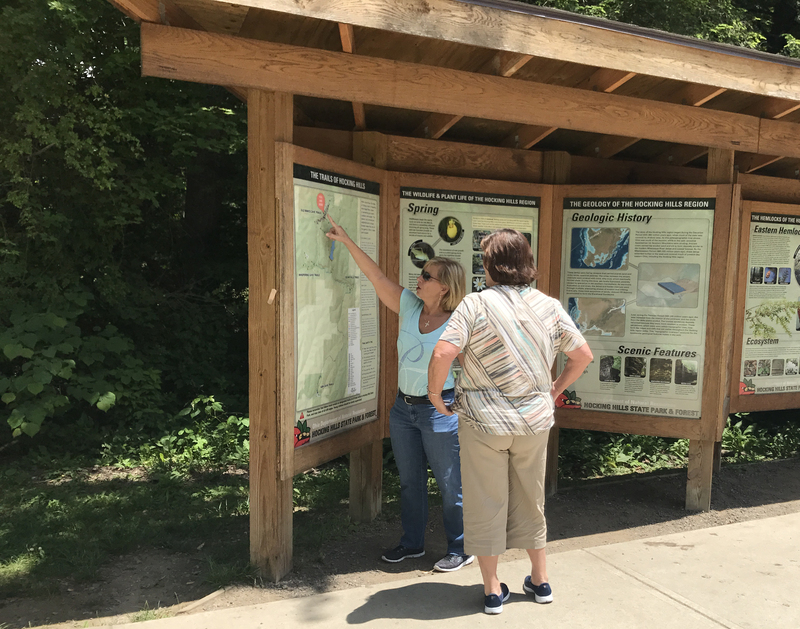 The Hocking Hills Tourism Association offers information on activities, lodging, shopping and more to help you make the most of your trip to beautiful Hocking Hills, Ohio. Thanks for the comment and the great Hocking Hills app tip!